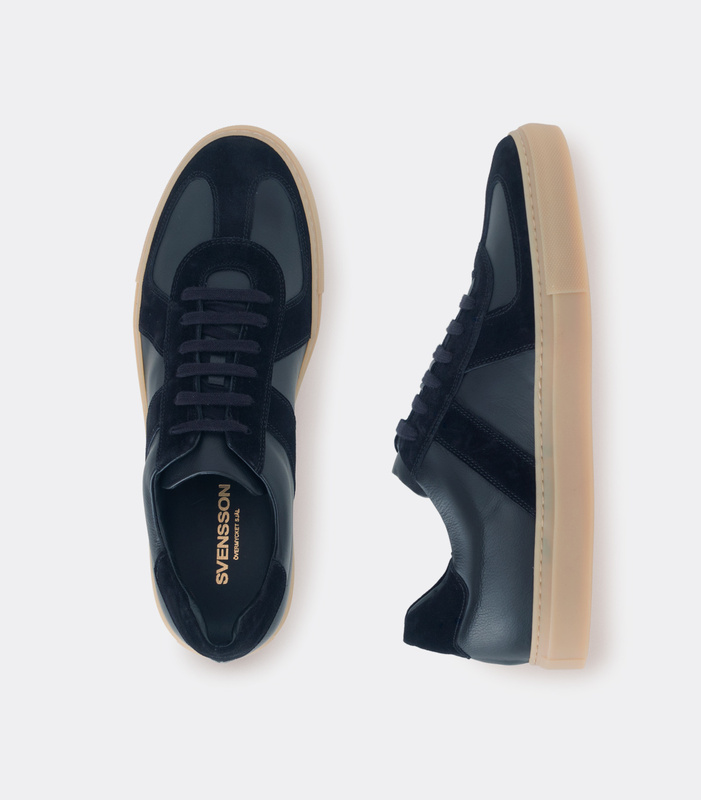 The classic army trainer, in full grain leather upper, with suede overlays, and Margom rubber sole. Hand made. Leather lining and insole. Padded tongue and collar. Flat laces.